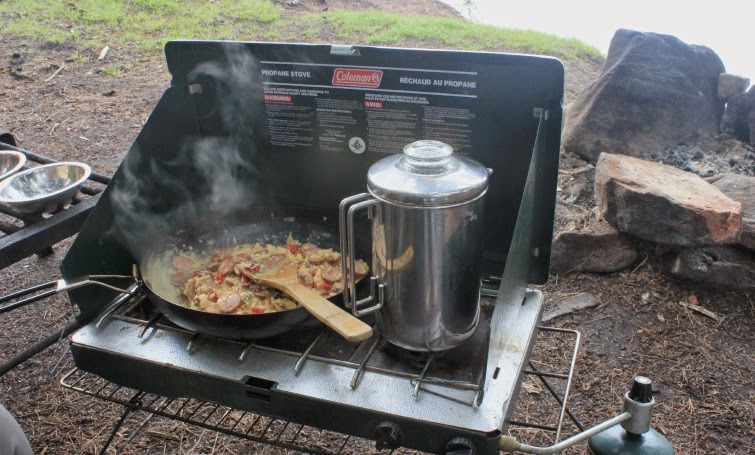 Planning a camping menu doesn’t have to be scary, but a lot of people get turned off from camping because it is not something usually associated with good food. Hot dogs, marshmallows and more hot dogs usually fill the menu because they're easy. Whether you’re grilling, cooking over an open fire or using a gas stove, food prepared outdoors has a unique flavour. Food is a big part of the adventure for us. While we do like to cook the occasional sausage over the fire, we also like to treat ourselves, and take the opportunity to cook food we would normally eat, in ways that we wouldn't normally cook it. 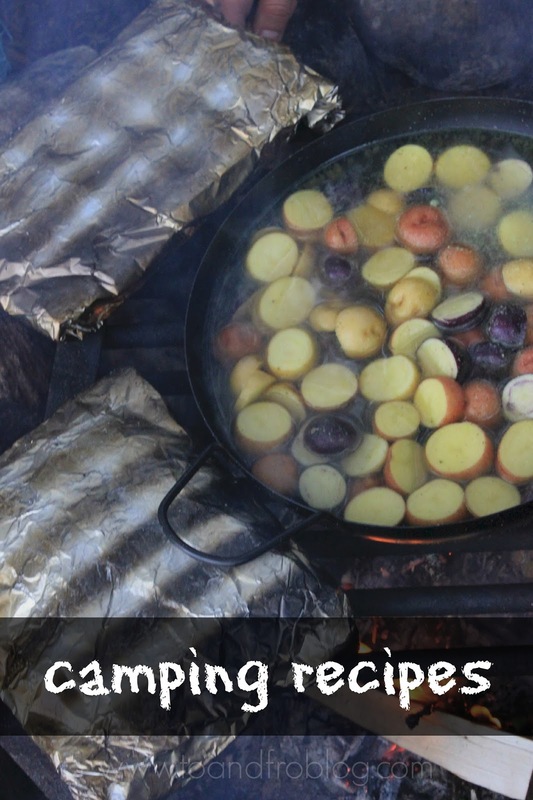 Here are some of our favourite camping recipes. 1. Fry onions and red peppers. 2. Add pre-scrambled eggs, then add sausage. 3. Once egg is scrambled, add cheese and allow to melt. 5. Wrap in warmed tortilla and serve. 1. Wrap thawed, marinated chicken thighs in a double layer of aluminum foil. 2. 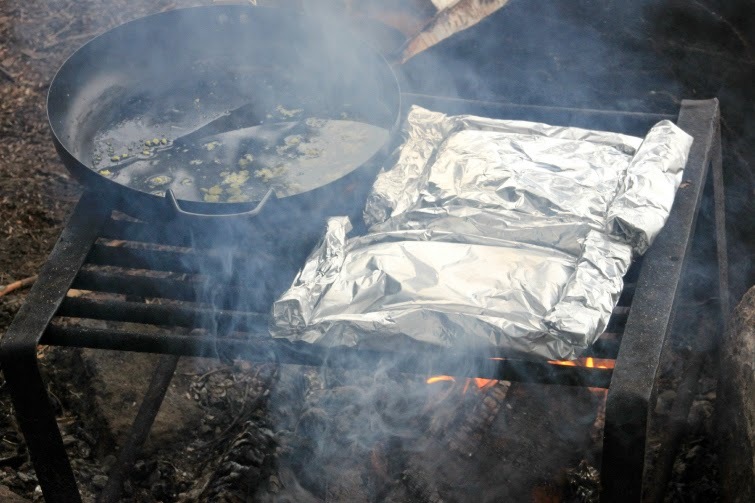 Place packet(s) on a grate and allow to cook over the fire for about 2 hours. Tip: Before the trip, add chicken and sauce of choice to ziplock bag and freeze. Not only will they be marinated when you are ready to eat them, they will also keep longer in the cooler if they are frozen. 1. Place a pot or pant on a grate above the fire. Fill with water and allow to boil. 2. Once water has boiled, add the bouillon cubes to create a stock. 3. Add mini potatoes to stock and cook until slightly tender. Stock should be reduced. 4. Wrap potatoes in a double layer of aluminum foil. Add butter before closing packet. 5. Remove pan/pot from grate and replace with potato packet. 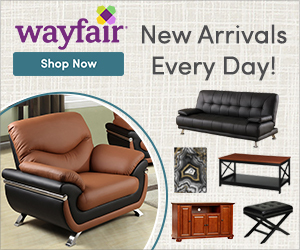 Allow to cook over fire until soft. 6. Once potatoes are cooked, open packet and add shredded cheese. Mix until cheese is melted. 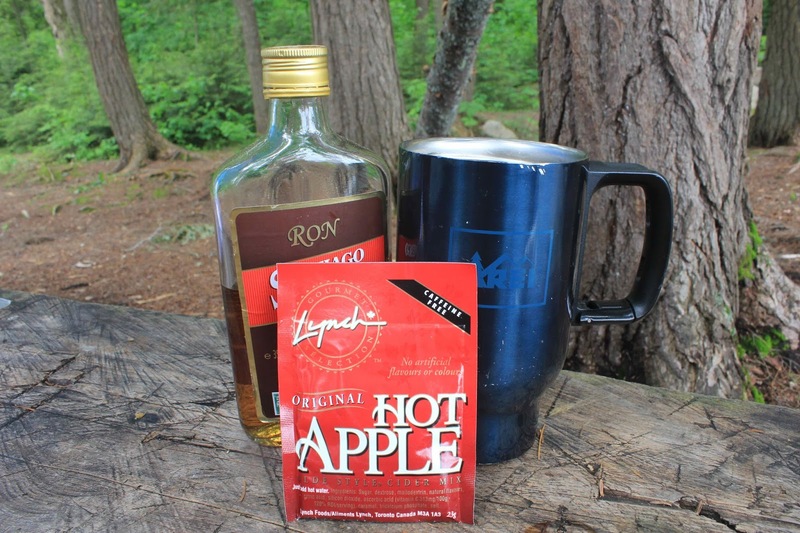 Even though you're camping, you still need dessert. 1. Open the cinnamon roll can and remove individual rolls. 2. 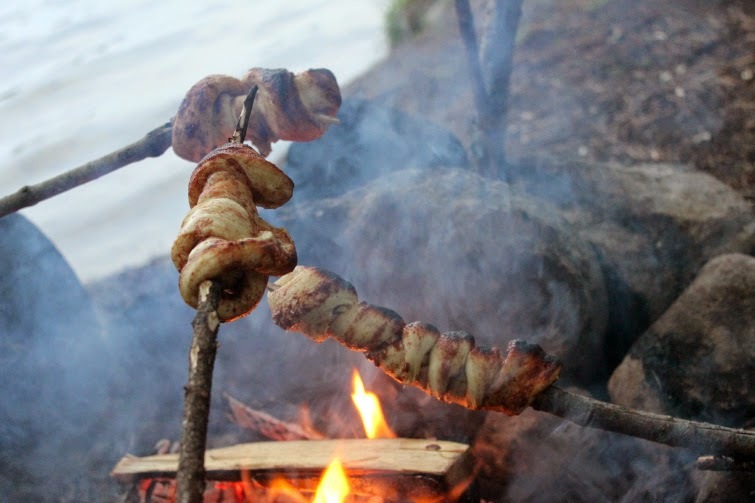 Wrap around a roasting stick. Make sure to only wrap one layer or it won't cook through. 3. Hold away from flame to cook (unless you like the taste of burnt cinnamon roll). Beverages are of equal importance. Here are two of our favourites. 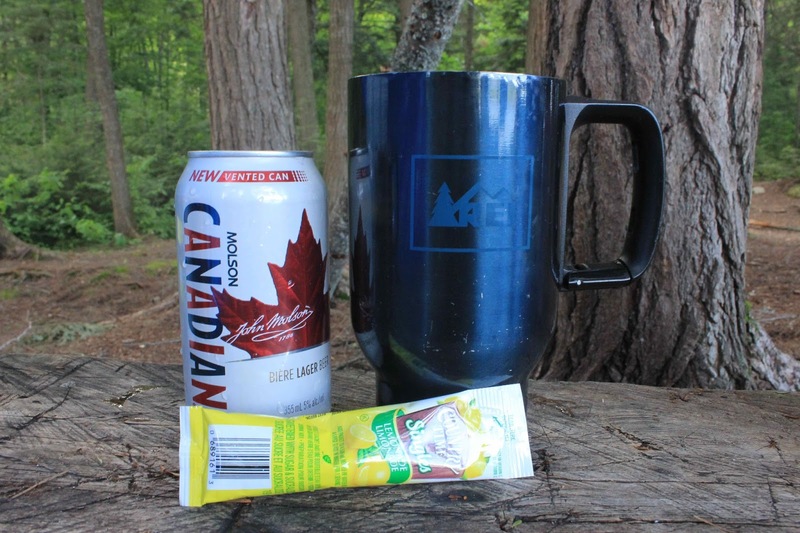 And last but not least, to make these meals a success, don't forget about including these staples in your camping gear: reusable mug, aluminium foil, reusable cups, plates and utensils and salt and pepper. 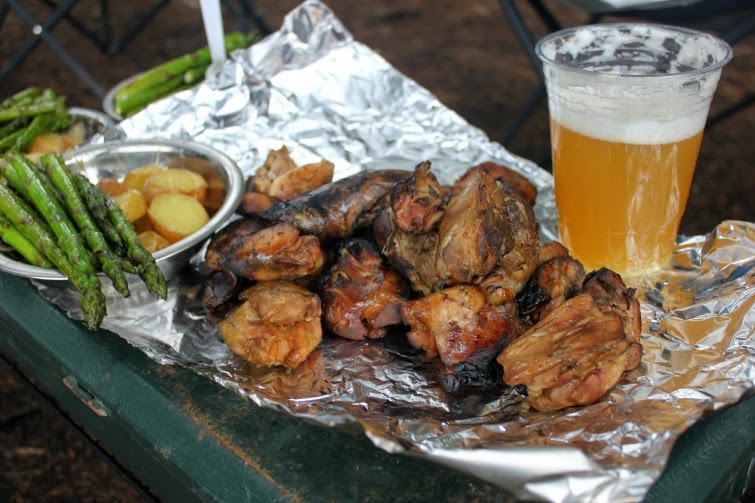 What are your favourite camping meals? Do you have any tips for cooking outdoors? I love these ideas! I always opt for the traditional hamburgers/hotdogs and then bacon and eggs in the morning. I guess I'd have to get more creative if I went for a longer trip though! Jeff and I both love the breakfast wraps, like the ones you make and he does potatoes in tin foil like you suggest as well. With of course, a ton of garlic. The cinnamon rolls on a stick sound intriguing and I bet they're so yummy,or rather, that much more yummy in the wilderness because you have an appreciation for it. Jeff never likes to take chicken or if he does, he has a rule: we HAVE to eat it on the first night or were not consuming it whatsoever. Oh my, I'm going camping this weekend and am always looking out for new ideas so this was the perfect post. 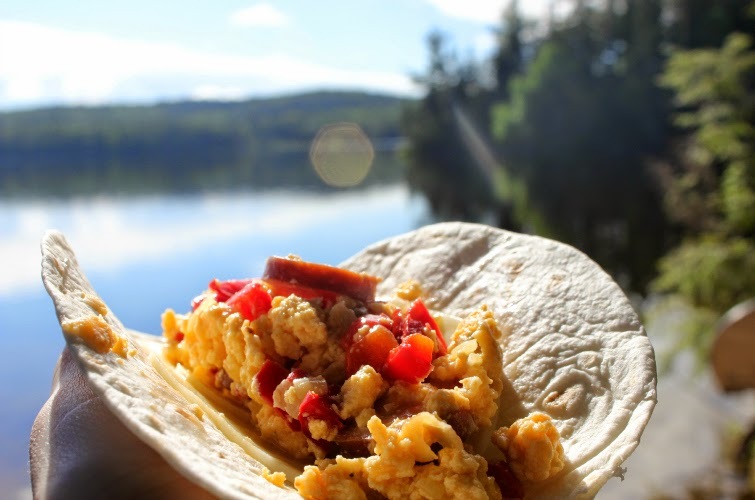 I echo you on the breakfast burritos- we always do that! And I think I'm going to try that summer shandy recipe this time! One of my favorite is hamburgers... not the easiest but there is NOTHING better than the taste of a good old fashioned hamburger while out in the woods camping!